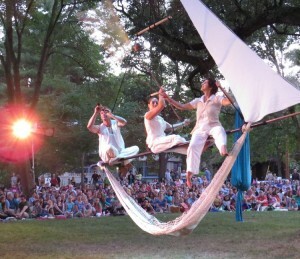 The “Cycropia” tree, a large oak in Orton used by the aerial dance troupe during Orton Park Festival was spared damage. In 2007 the NWS updated their rating for tornados to the Enhanced Fujita Scale which is a set of wind estimates based on damage. The NWS compares damage reports to a list of Damage Indicators (DIs) and Degrees of Damage (DoD) to “help estimate better the range of wind speeds the tornado likely produced” according to the tornado section of the NWS website. The damage seen in both the Marquette and Atwood neighborhoods earned the designation of Tornado #6 of seven produced by the storm. Structure damage included Madtown Printing on south Baldwin which lost its roof while Annette Hansen also lost her roof but gained new friends as neighbors rushed to her aid. In measuring the effects, the NWS cited specific damage in designating the weather event, arriving at 12:21 a.m. in the neighborhood, as a tornado. At least two trees inside Orton Park fell and one tree fell across Rutledge towards the park. A large portion of another tree on the west side of the 600 block of Ingersoll split off and fell across the street near the park entrance. Luckily the large oak near the corner of Ingersoll and Rutledge, also known as the Cycropia Tree was spared. 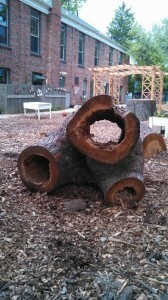 The downed oak in the middle of the park is at the center of an effort, led by Melody Niwot, to create natural play structures from tree’s trunk such as has been employed at Madison’s Woodland Montessori School. Through emails to the neighborhood and a Facebook page, launched a few days ago, Niwot urged neighbors to contact the Madison Parks Department and encourage them to halt tree removal until the idea can be further studied. 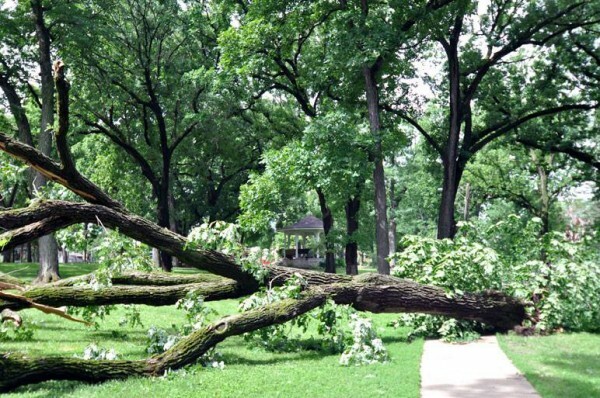 Sixth District Alder Marsha Rummel responded Sunday (July 21) in and email to the MNA listserv that the fallen oak had been saved and that Parks will look at the issue further when things slow down. “Charlie Romines, Parks operations manager, told me that Forestry will check the wood for disease and infestation, and if none is found, Parks staff will consider with the neighborhood what can be done. He hopes to be able to engage the neighborhood in the next week or two after Forestry reviews the segments. This entry was posted in Madison, Madison Arts & Entertainment, Willy Street, Willy Street Arts & Entertainment and tagged Enhanced Fujita Scale, Madison Parks, Marquette neighborhood, Marquette Neighborhood Tornado, Marsha Rummel, Orton park, Orton Park Natural Play Structure, Woodland Montessori by TheEastSider. Bookmark the permalink.